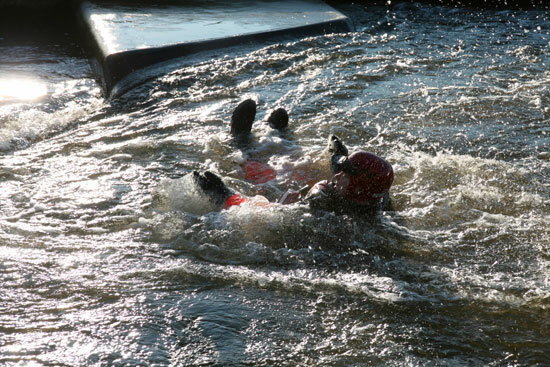 Recently some senior members of the Woodlore Field Team received swift water training at the National Water Sports Centre in Nottinghamshire. We were instructed by an extremely experienced group of fire fighters, who make up part of an international search and rescue team. When we are in the wilderness, bridges and ferries become a rarity, yet sometimes we are still faced with no option but to negotiate rivers, streams and lakes, and so we regularly find ourselves entering water that potentially can be cold, deep and fast-flowing. 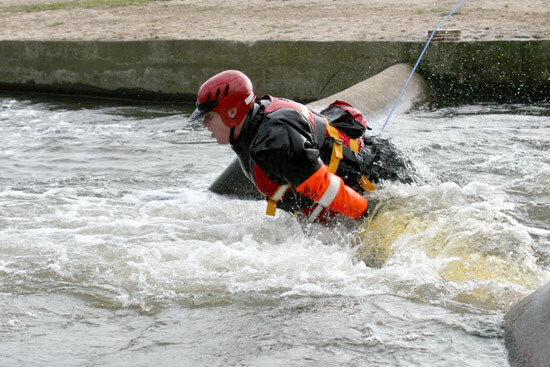 It is no surprise that water is one of the most dangerous elements we face outdoors and it is therefore essential that any outdoors person can swim and is confident in water. 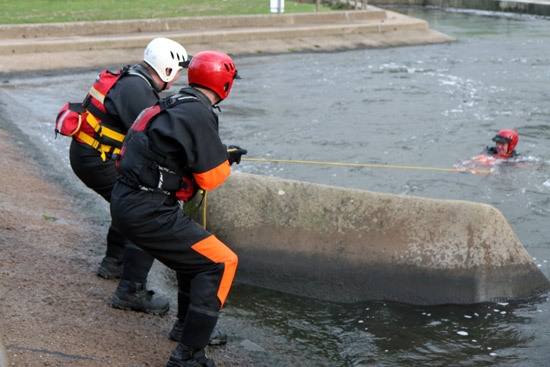 As outdoor professionals, running courses in and around water, it is also essential that we have an understanding of the hazards presented by water and a knowledge of how to prevent and deal with problems, should they occur. This recent training provided us with that knowledge and offered a refresher for the more experienced members of our team. 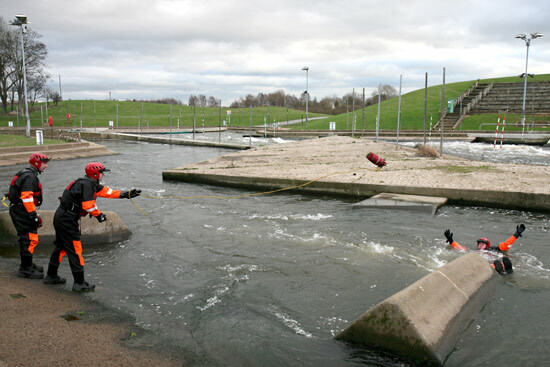 At the National Water Sports Centre we were able to realistically recreate threatening scenarios in a sterile, safe environment and it provided a valuable opportunity to get into the water and physically experience its immense power. 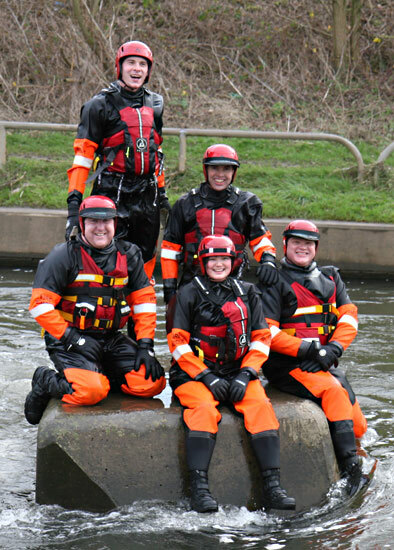 The training has increased our teams’ confidence and has undoubtedly contributed to our understanding of the dangers associated with water and will in turn help to improve the service we provide for our clients. This entry was posted in Ray Mears, The Woodlore Team on February 2, 2012 by Woodlore Team. -you call this work?! It looks like you had FAR too much fun! 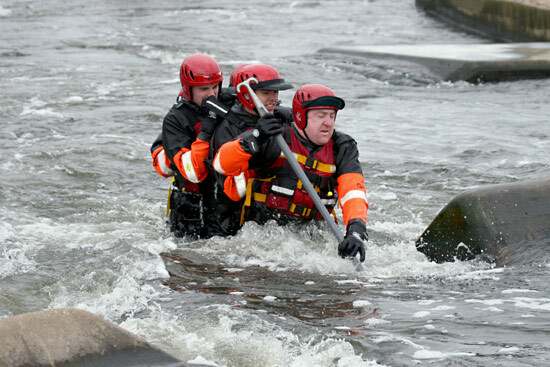 Training like this is priceless and has save many lives, Great job!